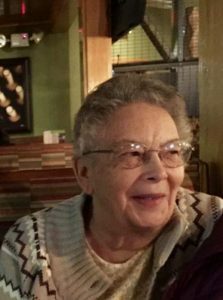 Ella Caroline Stephens, 91, passed away December 31, 2018, at St. Mary’s Medical Center in Grand Junction, CO.
Ella was born to Clarence and Alma (Hight) Stephens on the family ranch in Sweetwater Creek, Colorado. 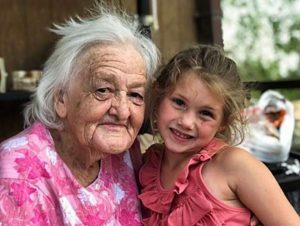 She helped her Dad with the ranch in her youth. Ella graduated from Eagle County High School in 1945, and shortly thereafter moved to Glenwood Springs. 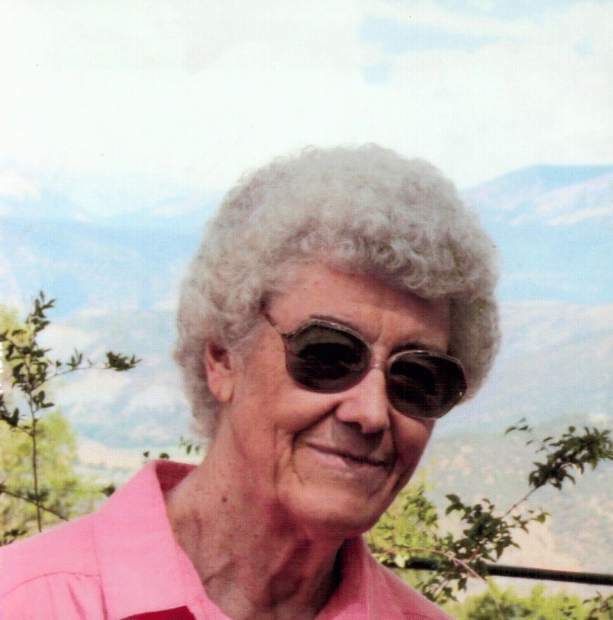 Ella worked at JC Penney department store in Glenwood Springs before going to work for the Garfield County Clerk and Recorder in the early 1950s. Upon the retirement in the early 1970s of her long-time boss, Charlie Keegan, Ella ran for election to replace him as County Clerk and Recorder. She served two terms as Clerk and Recorder before being elected Garfield County Treasurer. Ella served three terms as Treasurer before retiring to devote more time to her many interests, including fishing, golfing, and most especially, her beloved bowling. She moved to Grand Junction in 2000. Ella was preceded in death by her parents and sister, Marcia Bershenyi. She is survived by nephew, Alan Bershenyi, Grand Junction; niece, Karen Bershenyi, Broomfield; and dear friend, Nancy Gillum, Grand Junction. 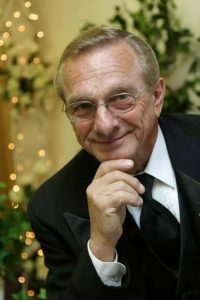 Funeral services were held on Monday, January 7, 2019, at First Presbyterian Church, 1016 Cooper Avenue, Glenwood Springs. Memorial contributions can be made to HopeWest Hospice, 3090B N. 12th Street, Grand Junction, CO 81506.